Technical systems often rely on redundant platforms. One way to increase dependability is to define various QoS modes, applied to different hardware resources. Switching between modes is limited by resource availability and causes costs for structural changes. Hence, selecting appropriate system architectures for specific resource sets and defining cost-efficient mode sequences is challenging. This short paper proposes an approach to support reconfiguration decisions for varying modes. We extend our decision graphs for traversing architectures towards multi-purpose applicability. We optimise reconfigurations within individual modes while reducing costs of mode changes simultaneously. Graph-based differentiations lead to most efficient mode sequences, transition configurations and visualisations. To respect high reconfigurability, we particularly inspect impacts of resource faults. For evaluation, we apply a subsystem of a micro satellite with multiple operational modes. 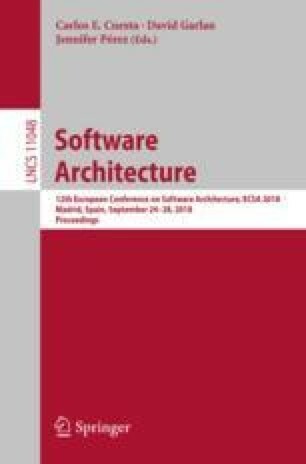 This work was partially supported by the DFG under Priority Programme SPP1593: Design For Future Managed Software Evolution.